Motor trips are the most popular of all trip types. There are more motor trip launches than any other combined, among all of the outfitters. 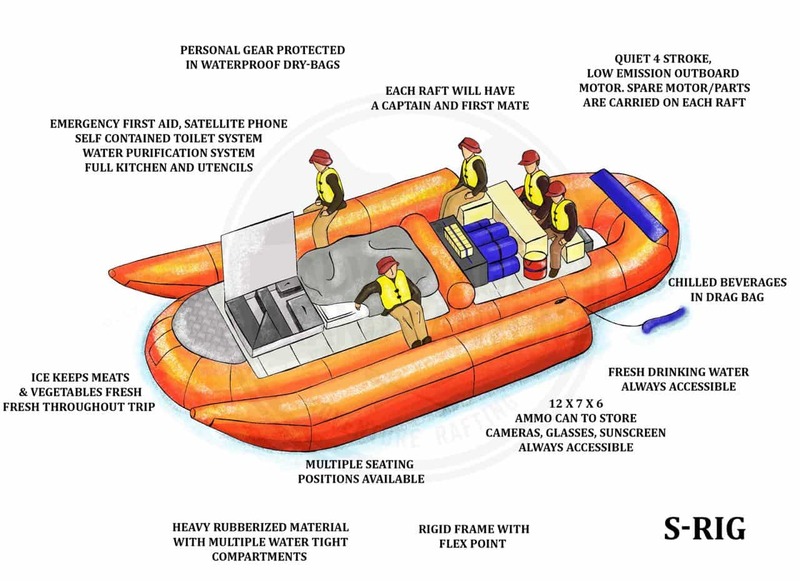 Typical launches include 2 rafts, and group sizes between 22-28 depending on the outfitter. 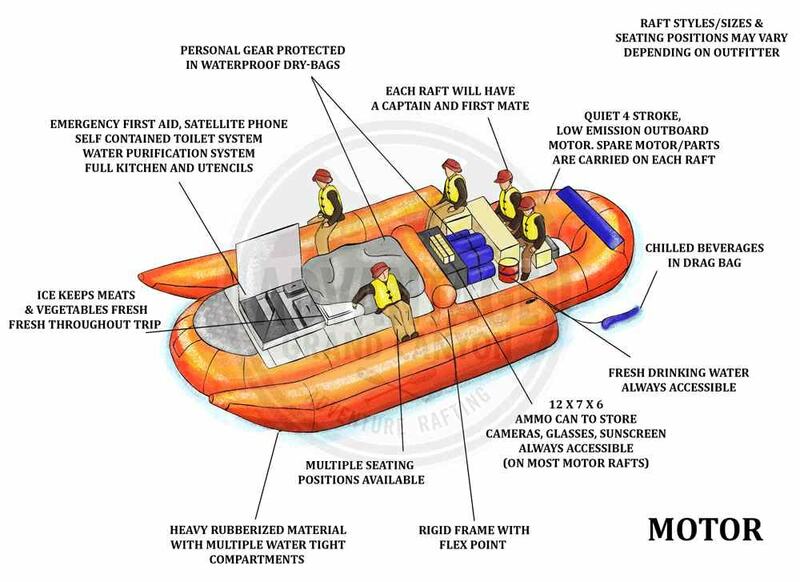 There are upper, lower, western and full canyon trips offered on motor rafts. Some full canyon trips continue straight through with the same group of passengers, while others will make a pit-stop to let off upper canyon passengers, and allow for lower canyon trip passengers to join the group for the rest of the trip.